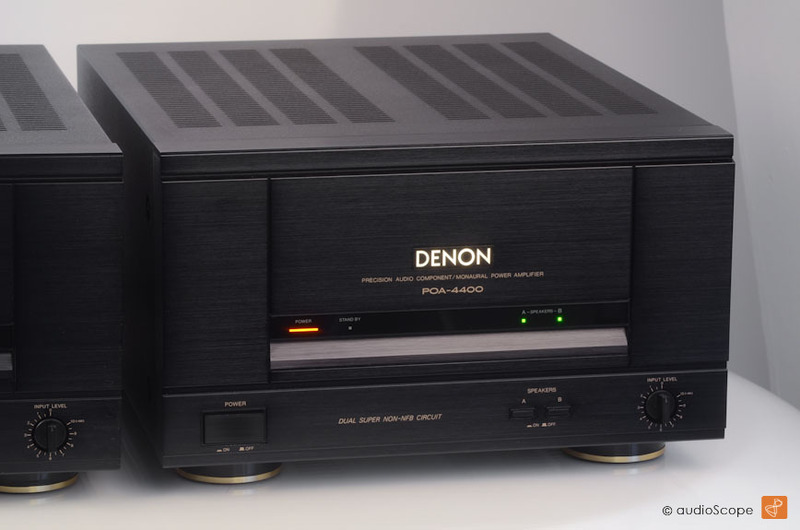 Denon POA-4400 Monaural Power Amplifiers for sale. 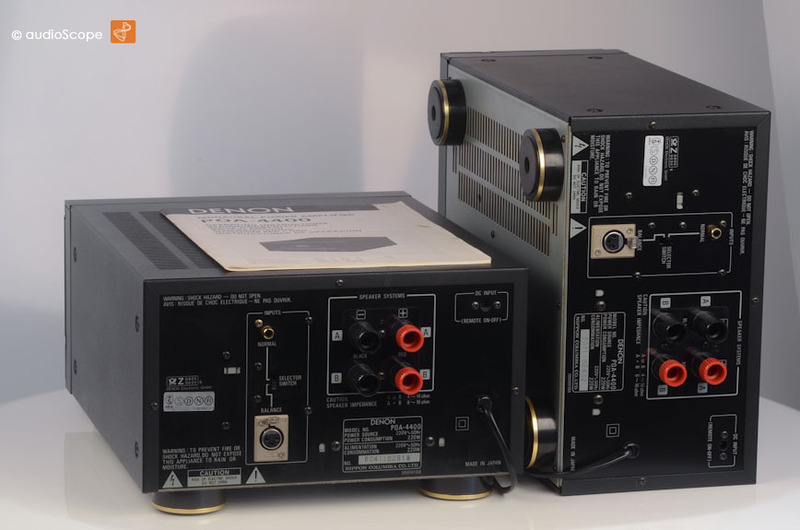 This pair of Denon Mono Power Amplifiers are in near mint condition. They offer enourmous power resources even at complicated loads. 150 watts into 8 Ohms or 250 watts RMS into 4 Ohms gauarantee to handle almost every speaker. 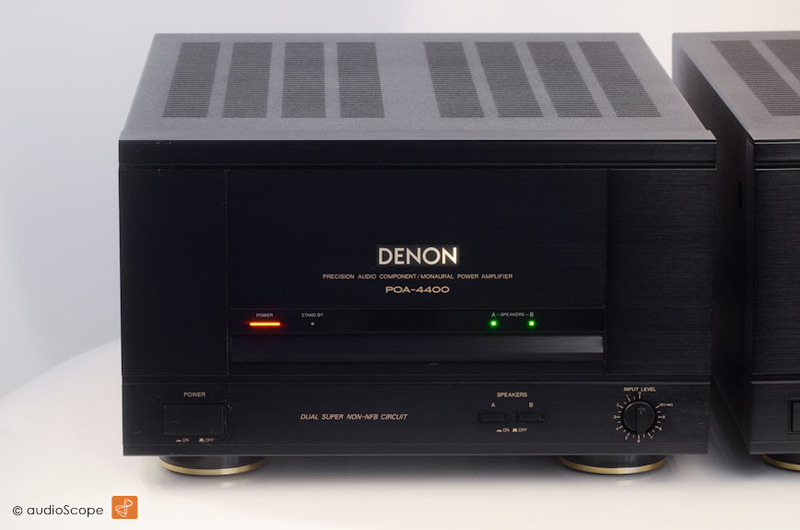 With thier balanced inputs, best signal to noise ratio as well as dynamics are self-evidet. These units come from the first non smoking owner with thier original manual. All circuits are original and unmodified. 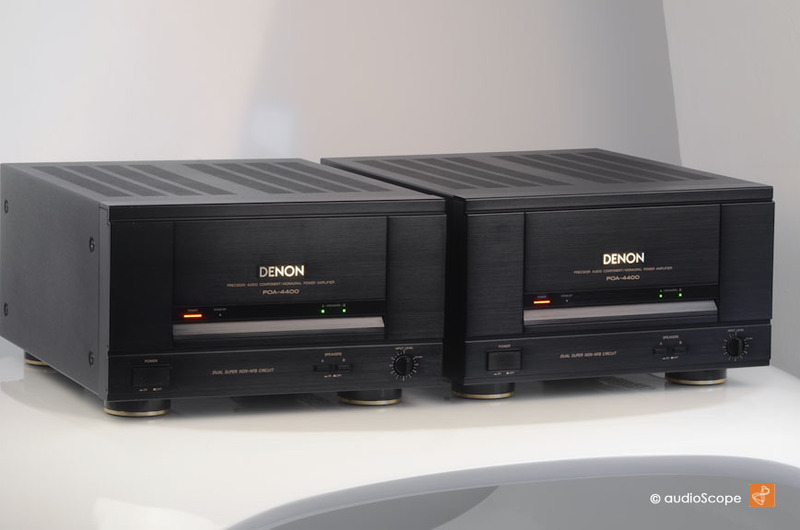 The matching Pre Amp DAP 2500 is available as well.